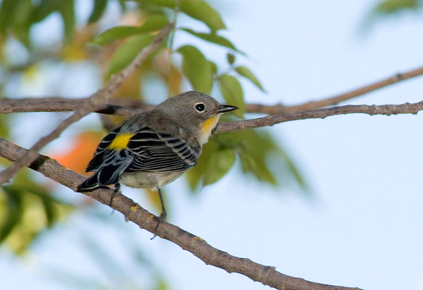 UC DAVIS (US)—Birds’ alarm calls serve both to alert other birds to danger and to warn off predators. And some birds can pull a ventriloquist’s trick, singing from the side of their mouths. Many animals respond vocally when they detect predators, but it’s not clear to whom they are signaling, says Jessica Yorzinski, a graduate student in animal behavior at the University of California, Davis, who conducted the study with Gail Patricelli, professor of evolution and ecology. 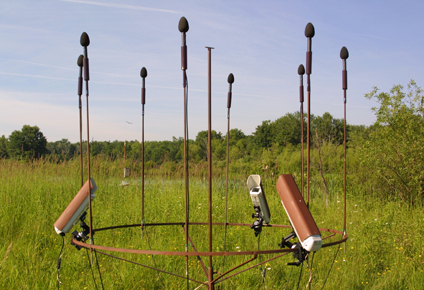 Yorzinski used a ring of directional microphones around a birdcage to record the songs of dark-eyed juncos, yellow-rumped warblers, house finches, and other birds as they were shown a stuffed owl. All the birds were captured in the wild, tested, banded, and released within 24 hours. Overall, the birds’ alarm calls were relatively omnidirectional, suggesting that they were given to warn other birds in the vicinity. However, the main species tested—juncos, warblers, and finches—all showed an ability to focus their calls in the direction of the owl, so these calls could also function to warn off a predator. House finches were the least directional in their calls. They are also the most social of the species tested, Yorzinski notes. Some of the birds were able to project a call in one direction while their beak was pointed in another. “It’s like talking out of the corner of their mouths,” Yorzinski explains. In some cases the birds may see better sideways than forwards, although Yorzinski did record evidence of birds projecting calls both forward and to either side. “It’s not clear how they’re accomplishing this,” Yorzinski says. The study was published recently in the journal Proceedings of the Royal Society B and was funded by the National Science Foundation.